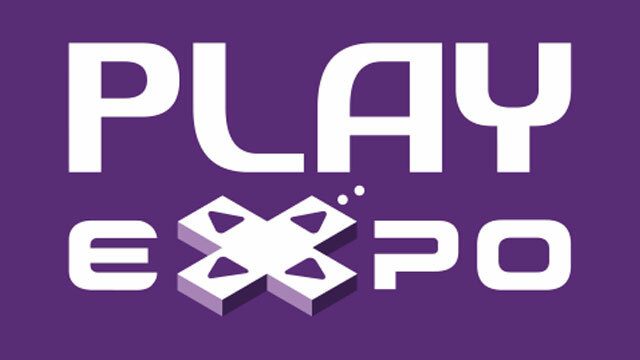 I’ll Be Attending PLAY Expo 2015! Some of you may remember my posts about PLAY Expo in Manchester last year, where I had a fantastic time meeting indie developers, trying out the Nintendo Virtual Boy for the first time, buying retro games, checking out incredible crafts and playing various classic retro arcade games such as Outrun, Turtles and Afterburner.One of the many highlights was coming across an exciting new side-scrolling beat-em-up called Raging Justice. Being a huge fan of Final Fight and Streets of Rage 2 (quite possibly my favourite game of all time - and been begging for a sequel for years), I was really happy to see and play something that felt faithful to those original classics. They've even announced that they will be attending this year, so I can't wait to play it again and see what improvements have been made since last time.For those of you who have a Nintendo 3DS, I found last year to be very successful in terms of streetpass. Every few minutes I would reach my limits so I had to stop checking after about 40 people, but if you're after some more puzzle pieces it's definitely worth brining yours along. Who knows? You might even stumble across mine? (Feel free to say "hello" as well if you do spot me - I had no 3G/4G or normal phone signal at the event and they don't offer WiFi, so please bare that in mind if I don't/can't reply to tweets, texts, e-mails and direct messages on the day).I'm hoping to pick up some good retro game deals and play loads of arcade games (they have over 100 units, not including all the pinball machines and games consoles). I'm also really looking forward to talking with loads of you gamers who are as nuts about retro gaming as I am!! !The event will be held in Manchester on the 10th and 11th October at EventCity (I'll be there on Saturday). More information is available on their website: www.playexpo.net. My friend Simon has created a few interesting "how to" setup guides for various retro gaming consoles. With all the serious technology guides out there, I was really surprised when I saw this video!https://www.youtube.com/watch?v=vSkaEJqVkeYSimon (or "Shambles11" as he is also known), has a great personality and sense of humour! He creates a great mix of videos on YouTube such as game reviews for the SNES and Xbox One, pick-up videos, mini let's plays, helpful guides (actually helpful... not like this!) and much more.I often watch his Super Nintendo videos as he gives some great commentary and plays/records the real games on the original hardware (no emulators here). He's constantly building his collection and sharing that journey (he's found some great deals in the past! ).I'd say he's definitely worth following on twitter and subscribing to his YouTube channel.He has also done instructional videos for the GameBoy, Sega Genesis/Mega Drive and PlayStation 1. That's right; Gamestop have decided it will no longer sell console bundles that include digital copies of games instead of physical ones.I know that a lot of people out there seem to be very anti-GameStop, but personally I think this is a great move for gamers and collectors, although obviously I don't think we were the core focus here. This appears to be more of a business decision for protecting GameStop's future.As a collector of retro games, I love having them all displayed on the shelves and sharing photos online with the gaming community. It's a popular thing to do on social media networks like instagram, twitter and facebook. With this newer generation of consoles, the majority of my collection seems to be digital, which feels a bit empty.Taking photos obviously isn't my main concern here! Originally digital games were presented as a convenient method of distributing games; No printed manuals, plastic boxes, shipping costs, storage costs, etc. All these savings would then be passed onto the customer, right? Cheap games for everyone! Yay!!! ... Nope. Not the case. 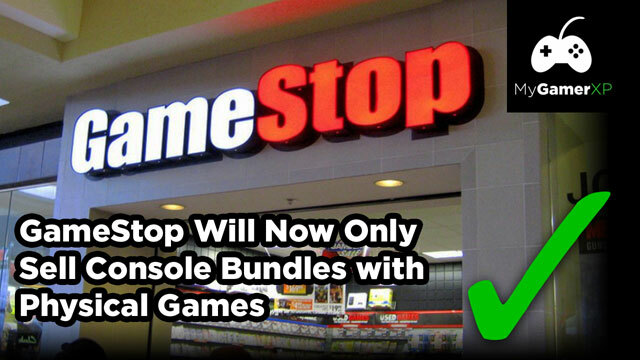 Instead we are presented with over inflated costs (sometimes double the cost or more than what you could buy in retail) for the "convenience"?Anyway, this decision by GameStop to only sell bundles that come with physical games is cool, but there is also a selfish reason behind this too. Namely their business model and the profits they make with trade-in games. In fact I believe it is where they make the most of their profit? So of course they wouldn't want this to go away (their shareholders certainly wouldn't! ), which is why I believe they are trying to slow down the inevitable digital take over.I say "inevitable" because as much as I dislike the idea (mostly due to nostalgia and the love of collecting physical things), I do believe we will be muscled out and forced to use this method at some point. Nintendo are already rumoured to be going "digital only" with their next console (the NX) and I'm sure Microsoft and Sony already want to do the same. I'm interested to know what you think of this announcement and the sale of digital vs physical games in general? I'd also like to know what you think of me creating these types of videos in the future (opinion pieces / podcast kind of things).Let me know in the comments below! At least the graphics are okay for an early 16 bit game. The first level in particular is a colourful representation of the streets of Springfield, with plenty of references to keep Simpsons fans happy. One example I really enjoyed was the ability to prank call Moe's Tavern. It took longer to work out than necessary and with no hints or direction at all, but it was a fun discovery.I'm afraid that's about all I have nice to say about the game though. One of the main things that makes or breaks a platformer are its controls and unfortunately Bart vs the Space Mutants is an absolute mess. Both run and jump are assigned to the same button and a long jump requires you to hold down two buttons at the same time. The inventory management is also a bit of a pain to use, often requiring you to pause the game to switch items. Another issue I have with this game is the punishing difficulty. I don't mind games being tough and I do enjoy a challenge, but this just feels either lazy or broken. The collision detection feels off in places, especially in later levels and to be honest, I've only ever made it far in this game by using save states on an emulator. You only get five lives, no continues and it only takes two hits to kill you, so... good luck! 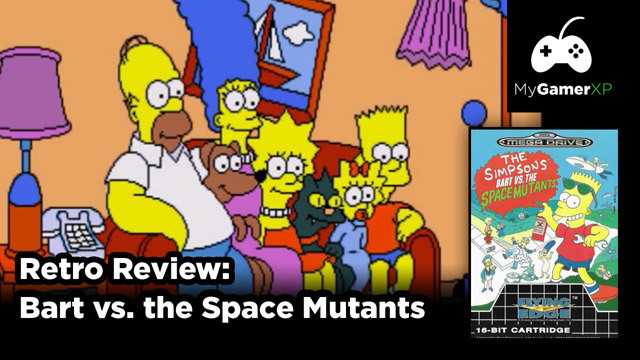 If you're looking for an enjoyable Simpsons game, then I'm sorry to say that Bart vs the Space Mutants isn't it. This game is tough and barely worth the effort and patience required for even some of the biggest Simpsons fans out there. Every few years I seem to forget just how bad it is and play it again. Somehow there's some nostalgia here that keeps me coming back, but it doesn't take too long to get frustrated with it. I've heard that the NES version of this game is slightly better, although still pretty horrible, so if you want to experience some Simpsons fun, I recommend you play the original Arcade game! Now that really was awesome! There's also a couple of fun titles on the PS2 like "Hit and Run" and "Road Rage", so check those out if you get a chance.As for me, that's all for this video, so please like and subscribe if you haven't already. If you've played this game before, feel free to share your opinions and experiences in the comments below. I love hearing what you guys think of the games I review and as always; thanks for watching and I'll see you in the next video! As you heard at the start of this video, Desert Strike has one of the best sounding intros for the Mega Drive (in my opinion anyway). It really gets the blood pumping, preparing you for action and excitement! Although… that doesn't quite reflect the pace of the game.The sense of urgency only really comes from limited resources; most notably the fuel. 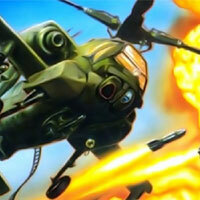 Your Apache Helicopter comes loaded with a machine gun and two types of rockets which vary in quantity and power. The balance is good here, it feels fair, and additional fuel and ammo can be found via the map screen. During gameplay, you navigate each level with freedom to explore and carry out the order of certain objectives. This approach helps Desert Strike feel less linear and allows for flexibility and strategy that can affect the difficulty.For example; in earlier missions you must seek and destroy the enemy radar system. In later levels it's not a set objective, but in doing so it can weaken their forces giving you an advantage. This can be crucial to survival as your helicopter cannot take much damage, so planning and efficiency is key.Thankfully, there is a password system in place should you need to continue progress or restart a level, as save states weren't very common back then. As the name implies this game does take place over desert land, so there isn't much in terms of different locales. You will see sand… and lots of it! I often find that desert or ice levels in games are a bit dull, but somehow Desert Strike manages to keep things interesting. The game is displayed from an isometric perspective with wonderfully detailed graphics. Little buildings, trees, camps and outposts scatter the landscape. The pixel art here impressed me back then and still does today.As far as sound goes it's a bit of a mixed bag, but not necessarily for bad reasons. The intro and cutscenes are good, but there isn't any music during the missions. All you can hear is sound effects such as your helicopter, gunfire and explosions. This, mixed with the lack of a HUD (Head-Up Display) actually makes the experience more immersive. There are a few minor issues that make this title not quite perfect. Such things as targeting enemies can be a little tricky at times and some people may wish for a bit more variety in the level locations, but nothing here prevents Desert Strike from being a well polished game. Later instalments do offer more variety, but this was my favourite in the series.Have you ever played this game? If so, please let me know what you think of the game and your experiences in the comments below. 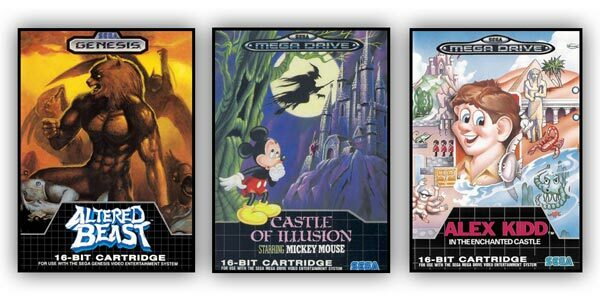 Have you seen my latest video reviews for classic retro Sega Mega Drive and Genesis games? If not, you can check them out here. It's all part of my continuous goal to keep creating better content about the games I love. I've had some really positive feedback so far and I'm trying to improve each one I make. It's something I have a lot of fun doing and I can't wait to create more! I have a huge list of games I want to cover, not just for the Mega Drive / Genesis, but for SNES, NES, Master System, PlayStation, N64, Dreamcast and loads more! There's years worth of content - and that's purely talking about the reviews and retrospectives. That doesn't even begin to cover all the other great game related videos I want to make.This is all a hobby, some fun, an interest and enjoyable way of spending my free time. At the moment I can't commit to a set schedule, although I aim to make roughly two of these videos a month. I'd like to do more, but that is pretty much my maximum capacity for the moment and this is where you come in... how you can help! 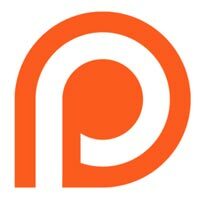 I've recently signed up to a website called Patreon, which allows supporters to contribute to projects on an ongoing basis. My videos will always be free, this just works more as a kind of tip jar, where you can offer thanks through a small donation per video - if you want to. Well, in addition to the usual videos, you can be rewarded with exclusive extras, all of which are detailed on my Patreon page. More will be added over time, so keep checking back for updates. What about "Let's Play's" and Pick-up Videos? These won't count. The Patreon page is strictly only for what I deem as quality content - something that has required effort to produce. Pick-up and Let's Play videos are nice and can be entertaining, but I feel these should be treated as supplementary content. So if you pledge $1 per video (for example), it won't count for these types of videos. They will just come as a free extra. Then please e-mail me, leave a comment below, or contact me on twitter. I'll be more than happy to answer any of your questions. I want to be as clear and transparent as possible. 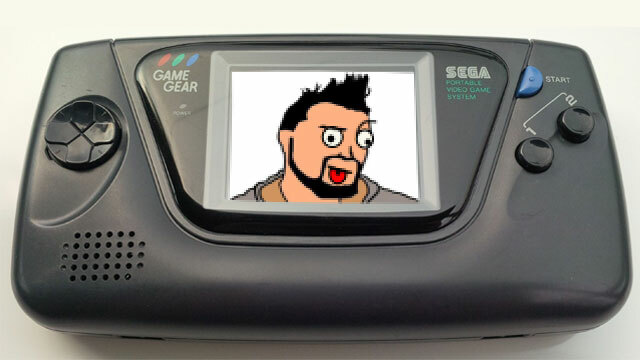 https://www.youtube.com/watch?v=5IUiOWXYIvIIn the early days of 8-bit home consoles, Sega tried to establish their own mascot to rival Nintendo's Super Mario. What they came up with Alex Kidd; a franchise that had a few ups and downs over the years, but is often fondly remembered as the "built-in game" of most people's Master Systems.Alex Kidd in Miracle World was a great title, but after that there were some arguably poor decisions made in trying to put him into different games - something I may save for another video at a later date. For now, we're going to look back at his first and only outing of the 16-bit era; Alex Kidd in the Enchanted Castle for the Sega Mega Drive and Genesis. 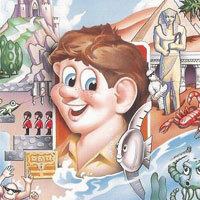 The game's plot is nothing special - a common trait of many side-scrolling adventure titles from around that time. You play as Alex who lives on Aires; a planet which is controlled by his brother King Igul. After hearing a rumor that his long-lost father, King Thor, is still alive on Planet Paperock, he travels there to look for him.The world stages are varied, offering a number of collectables and hidden areas. Whilst this game won't blow anyone away with its graphics, the simplicity does carry a certain level of charm, which is enough to make it pleasing to look at.Enemies can be defeated using Alex's punches and kicks, as well as a range of power ups and vehicles. I used to love the motorcycle, pedicopter and pogo stick, as they offered a nice change of pace during each level. One element that I feel does affect this title's popularity is the use of Janken - which is essentially a game of "Rock, Paper, Scissors". For various items and boss battles, skill is pushed aside for a system that relies purely on chance, resulting in you succeeding... or dying and having to restart the entire level again.The game can be challenging enough due to the fact that Alex Kidd dies in one hit and starts the game with fairly limited continues, but this frustrating and cheap tactic makes completing it either fairly straightforward or nearly impossible depending on your luck.It's a real shame as Janken didn't frustrate me too much as a kid. Games generally were a lot less forgiving in the past as a way to increase longevity. The old me would just shrug his shoulders and start again, but nowadays I find it harder to overlook it - and I think other gamers would do too. Especially newcomers who aren't armed with a good measure of nostalgia.As far as controls go, it's not quite perfect there either. They are responsive and the collision detection is fair, but the surfaces seem to act as if they are coated in a slippery surface, which can make some platforming action a little tricky. Due to this game's rather weak reception and the development of their much cooler mascot Sonic the Hedgehog, Sega haven't released another Alex Kidd title since. He hasn't been forgotten though, as there has been the odd reference and cameo appearance in games such as Shenmue and Sonic & Sega All-Stars Racing.Whether or not you should pick up this game is a tough question to answer. For me personally, it holds quite a lot of nostalgic value. Me and my sister had a great deal of fun playing this when we were little. As a collector, Alex Kidd does have some importance in Sega's history, so for that reason I would pick it up if you haven't already. As a gamer experiencing this fresh though, it can be challenging and fun, but some of the key elements that rely purely on chance… well… they may grind a little bit. So I think the decision will depend on your patience and accepting the Janken gameplay flaw going into it. Have you ever played this game? If so, please let me know what you think of the game and your experiences in the comments below.If you enjoyed the video, please click on the like button and subscribe... and as always; thanks for watching! Bart vs the Space Mutants was released for the Sega Genesis and Mega Drive back in 1992 and is basically just a graphically updated version of the NES game released the year before, which was in fact the first Simpsons game ever created for home consoles.The basic story for the game is that aliens have invaded Springfield and it is up to you (Bart) to prevent them from building a "super weapon" by spraying things purple, collecting hats and stealing balloons… Yeah… you heard me right… At least the graphics are okay for an early 16 bit game. The first level in particular is a colourful representation of the streets of Springfield, with plenty of references to keep Simpsons fans happy. One example I really enjoyed was the ability to prank call Moe's Tavern. It took longer to work out than necessary and with no hints or direction at all, but it was a fun discovery.I'm afraid that's about all I have nice to say about the game though. One of the main things that makes or breaks a platformer are its controls and unfortunately Bart vs the Space Mutants is an absolute mess. Both run and jump are assigned to the same button and a long jump requires you to hold down two buttons at the same time. The inventory management is also a bit of a pain to use, often requiring you to pause the game to switch items.Another issue I have with this game is the punishing difficulty. I don't mind games being tough and I do enjoy a challenge, but this just feels either lazy or broken. The collision detection feels off in places, especially in later levels and to be honest, I've only ever made it far in this game by using save states on an emulator. You only get five lives, no continues and it only takes two hits to kill you, so... good luck! If you're looking for an enjoyable Simpsons game, then I'm sorry to say that Bart vs the Space Mutants isn't it. This game is tough and barely worth the effort and patience required for even some of the biggest Simpsons fans out there. Every few years I seem to forget just how bad it is and play it again. Somehow there's some nostalgia here that keeps me coming back, but it doesn't take too long to get frustrated with it.I've heard that the NES version of this game is slightly better, although still pretty horrible, so if you want to experience some Simpsons fun, I recommend you play the original Arcade game! Now that really was awesome! There's also a couple of fun titles on the PS2 like "Hit and Run" and "Road Rage", so check those out if you get a chance.As for me, that's all for this video, so please like and subscribe if you haven't already. If you've played this game before, feel free to share your opinions and experiences in the comments below. I love hearing what you guys think of the games I review and as always; thanks for watching and I'll see you in the next video!